2013 July Free Wallpaper! It’s early! Its early this time! I thought I might try to make up for the last few months of being late. So its a couple of days early. The image I went with for the July Wallpaper, is an image I captured while out exploring Yosemite. 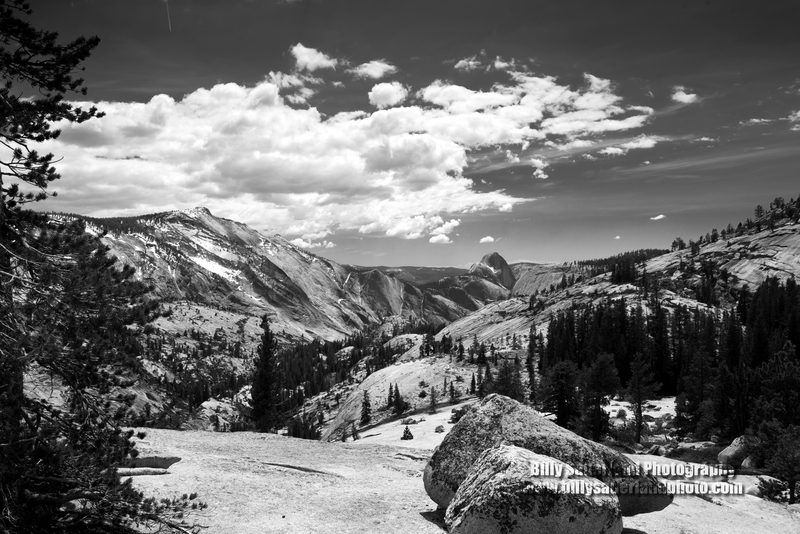 This is a view from below Olmsted Point and above Tenaya Canyon and over looks the eastern edge of Yosemite Valley. Looking West over the upper end of Tenaya Canyon and the Eastern edge of Yosemite Valley. From here you can see Clouds Rest on the left and also the east side of Half Dome. For this shot I used my Nikon D800, 24-70mm f2.8, Circular Polarizor. The wind was whipping around pretty good up there, and the sun was so bright, but I had an amazing day out exploring that day. The clouds were moving pretty fast, and since they were changing so quickly I needed to act fast to get them before they were gone from above Clouds Rest. ← Climbing to new Heights!